A tiny toy dinosaur is such an odd, yet wonderful addition to my desk. 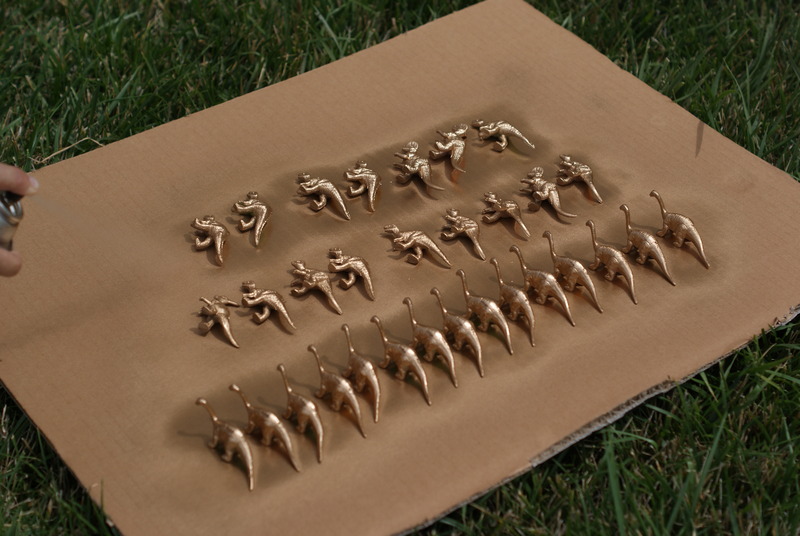 And I’ve been seeing the Midas touch thing all over the place – so let’s turn more things gold! 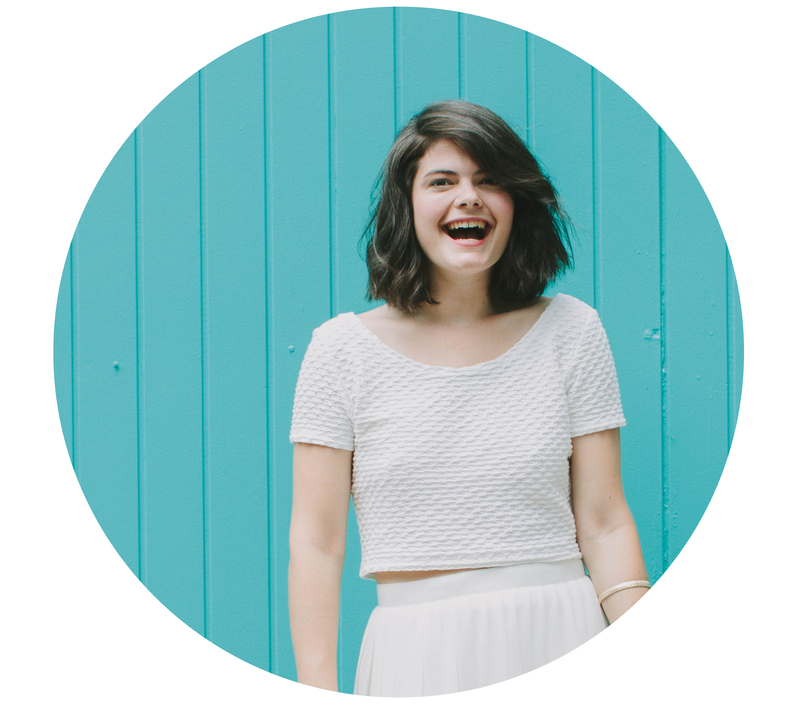 This two material DIY is easy-peasy. 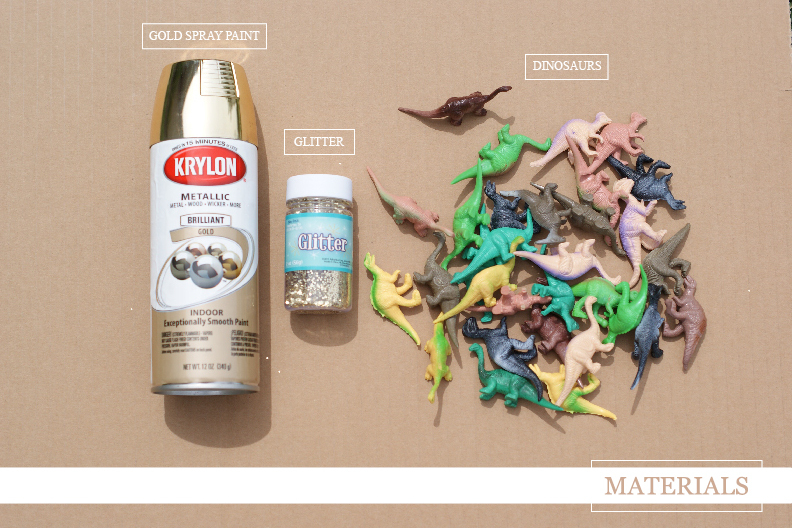 Grab some tiny dino’s – I got mine from the dollar store toy section – and a can of gold spray paint. 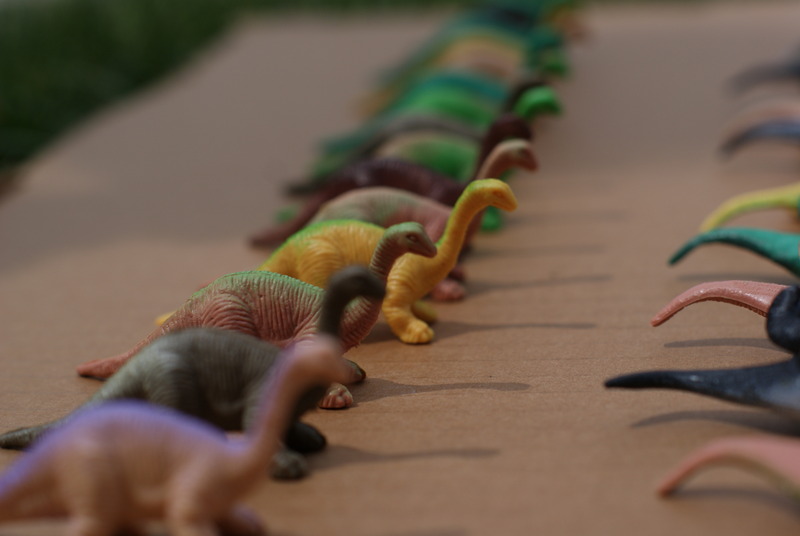 Line up the dinosaurs and paint. To spruce ’em up just a little, I added some gold glitter. Did you have to use glue for the glitter? Yes. I just used a layer of spray glue before adding the glitter! 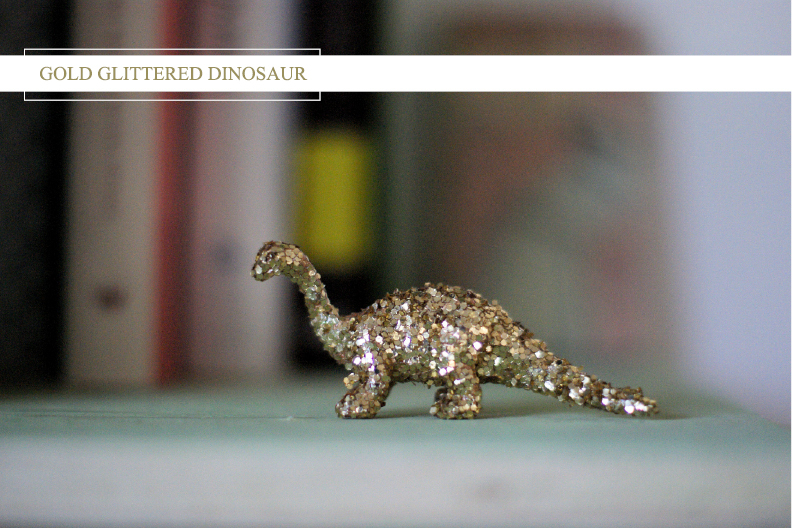 as if I don’t already want to glitter everything in my house… now I want glittery dinosaurs! thanks for the idea! How cute is this?! 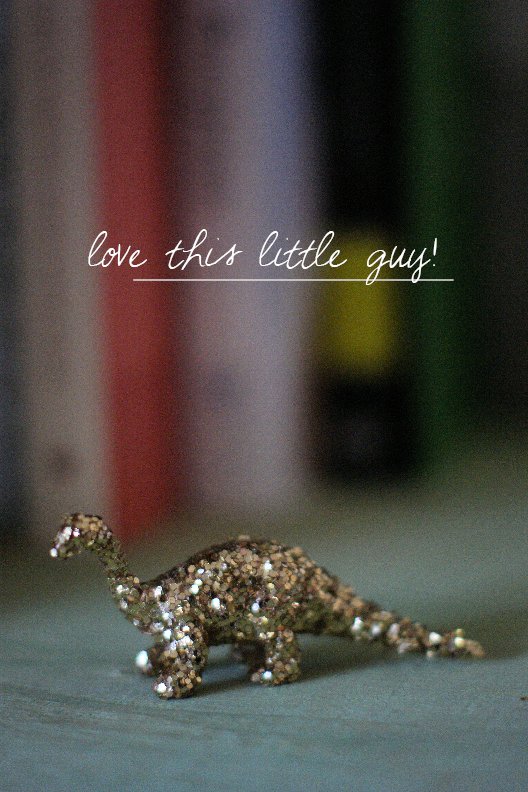 I didn’t even realize that I need a glittery dinosaur in my life, so thanks for bringing that to my attention!